Sorbothane® helps isolate laboratory equipment from disruptive outside vibrations. These unwanted vibrations can play havoc with precision-testing and invalidate critical results. 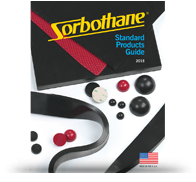 Sorbothane® parts are vital components in protecting sensitive instruments. For example, pads play a crucial role in the function of tilt-motion isolators, while custom parts are designed and produced to allow for the exacting and repeatable motion of laboratory centrifuges and mixers. Sorbothane® performs over endless cycles, promoting the continuous operation and long-life of valuable appliances. See samples of solutions we’ve provided to the Precision Laboratory Equipment industry.